The object above was the first one in the exhibit. 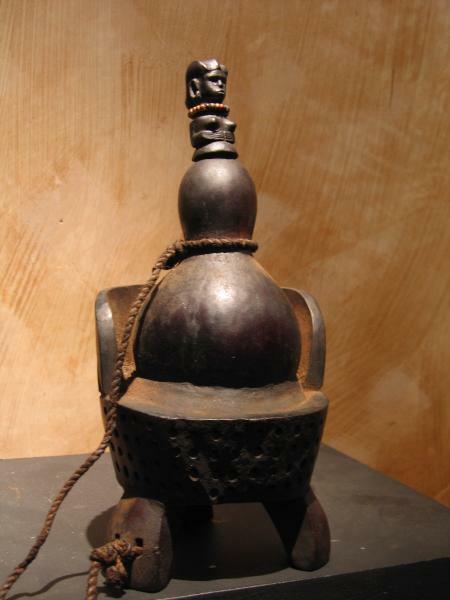 Yoruba ceremonial bowl for kola nuts, portraying Olumuye, "One who knows honor"
and glazed. 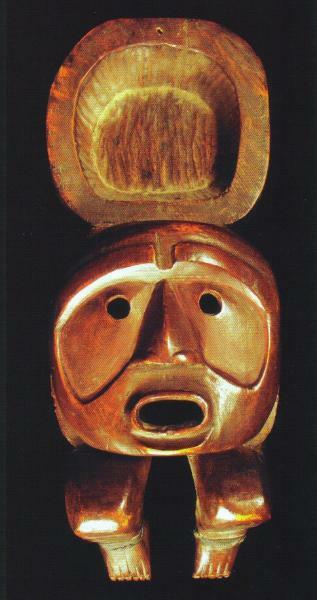 Wood, whittled, hollowed and carved, replaces bark. and potter hold their own with the arts generally commanded by men, such as metal and wood working. cultural values and aesthetic considerations. will narrow to channel its flow, a lid or stopper will seal and conceal, and a tight weave ably restrain loose seed. beads, cording or fur. Understated or ostentatious—the variables and effects are limited only by the artist's ingenuity or tradition's dictates. the aesthetic interplay, are quite revelatory. Great Lakes of central Africa that are worked into fine Tutsi baskets; the kelp, fish skin and marine ivory that turn up in an Inuit basket or box. More than just being at hand—there for the plucking—such resources reflect the connection between maker-user and a particular environment. 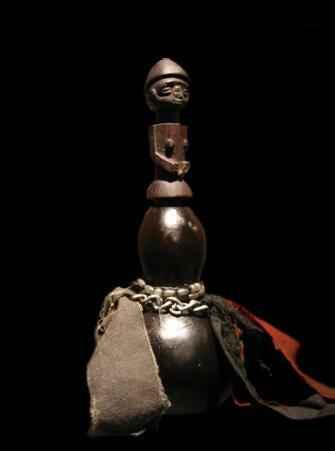 offering, whether these are kola nuts served to honored guests by the Yoruba or palm wine drunk from an intricately carved Kuba cup. seen, except by the privileged or initiated, has impact. 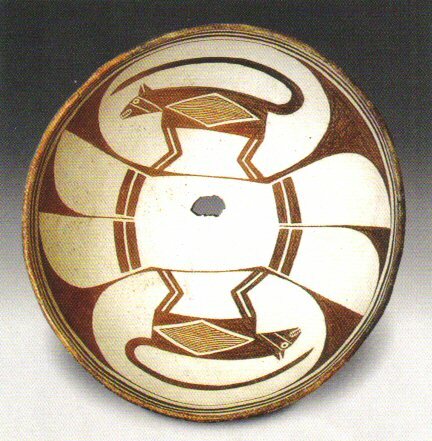 American Southwest, who "ritually killed" their pictorial bowls before entombing them. motifs, and used for brewing the Andean corn beer, chicha. head style on the stopper. out of the skull of an enemy (or a skull-shaped cup) is not unknown either. prestige yield the deeper metaphors of containment. They also exemplify the very human urge to make something beautiful to hold something else. 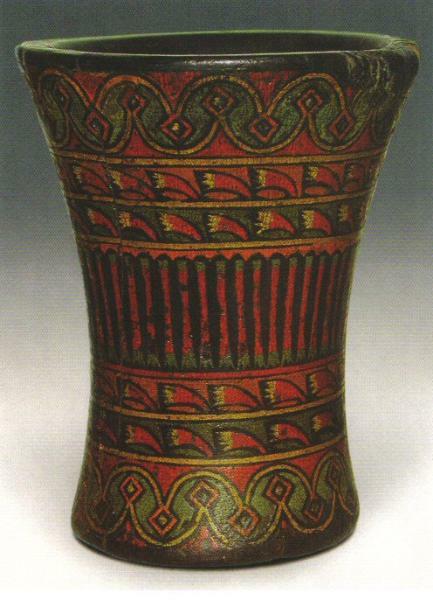 Magic and Myth: Images from Pre-Columbian Textiles" (2005). 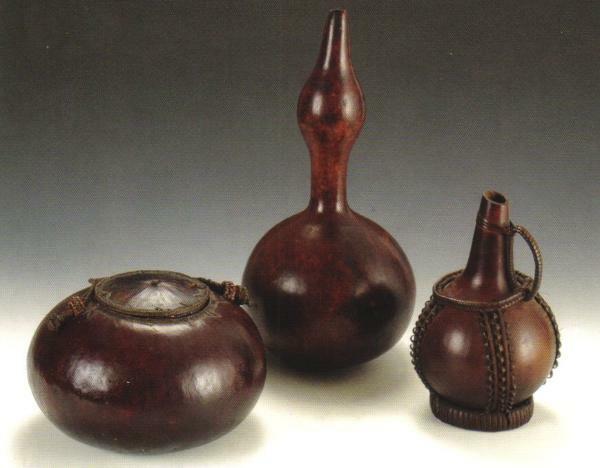 2 Roy Sieber, African Furniture and Household Objects (1980): 17. 3 Robert Farris Thompson, Flash of the Spirit: African & Afro-American Art & Philosophy (1984): 117. 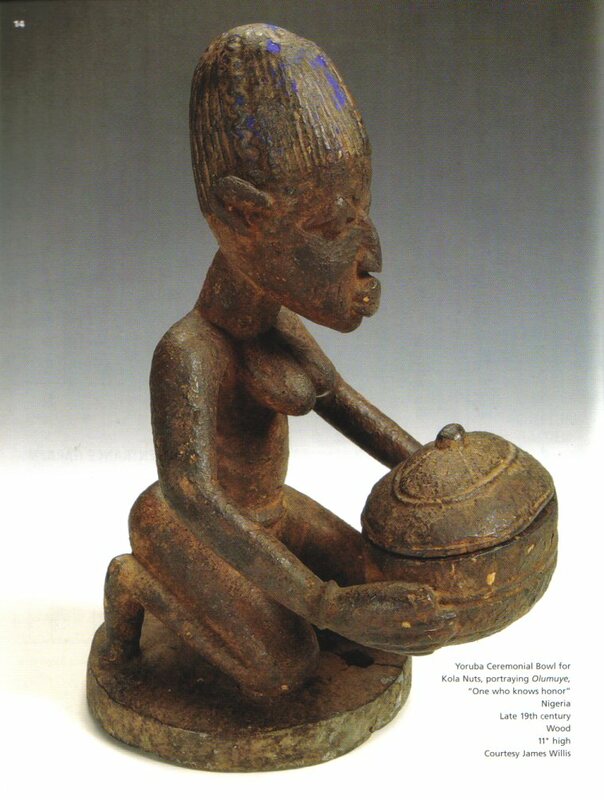 4 Karl-Ferdinand Schaedler, Earth and Ore: 2500 Years of African Art in Terra-cotta and Metal (1997). 5 John Pemberton III, "Divination in Sub-Saharan Africa." 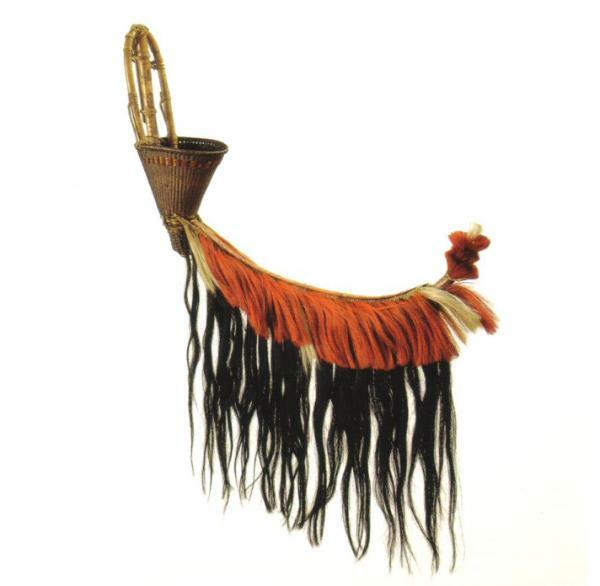 6 Mary Butcher, Contemporary International Basketmaking (1999): 29. 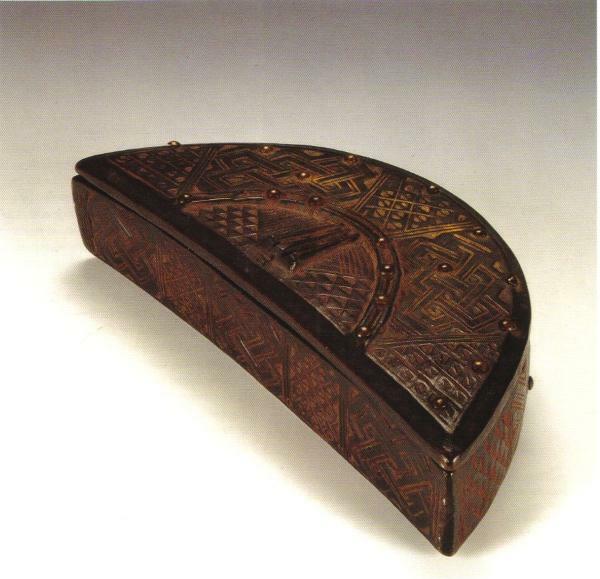 7 Schaedler: 281; KwaZulu Cultural Museum, Zulu Treasures: Of Kings and Commoners, (1996): 108-111. 9 Jack Lenor Larsen, Foreword to African Forms by Marc Ginzberg (2000): 7.
the Geller Collection, as well as other examples.